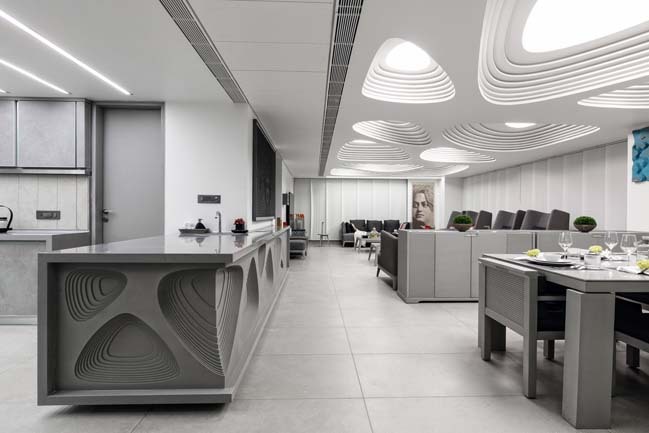 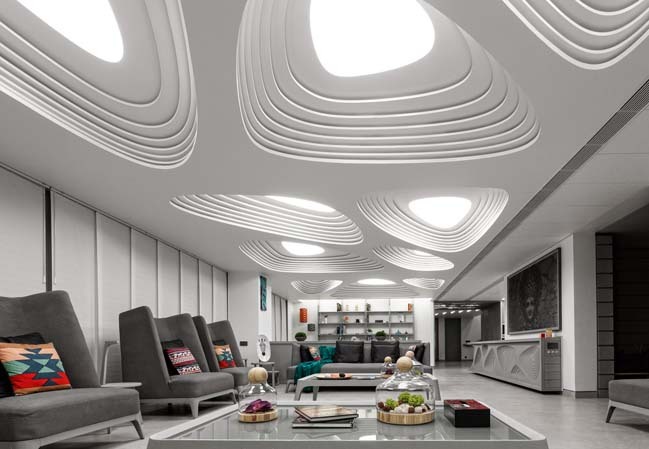 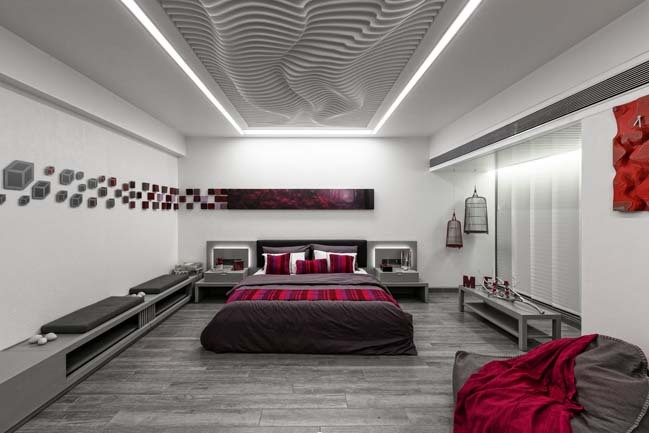 Located in Ahmedabad, India and designed by Apical Reform. 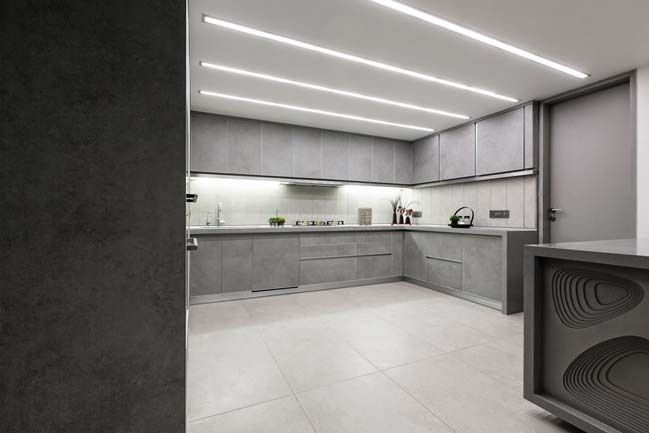 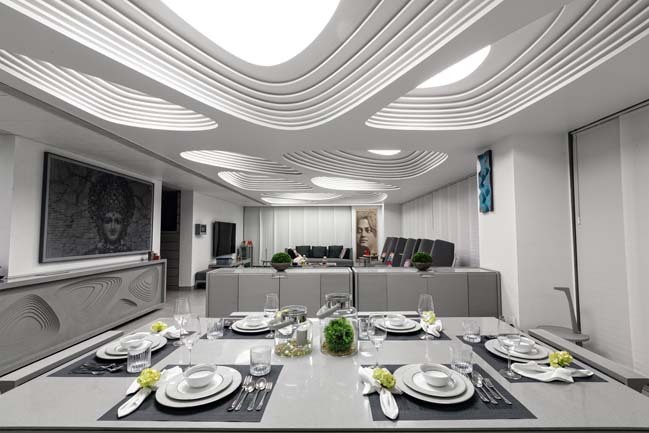 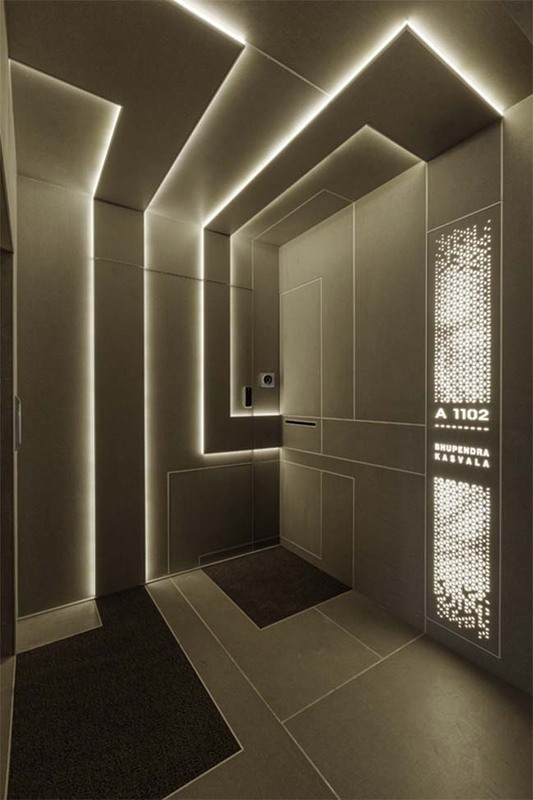 1102 is an ultra luxury penthouse that was designed as a reflection of client's lavish yet austere lifestyle. 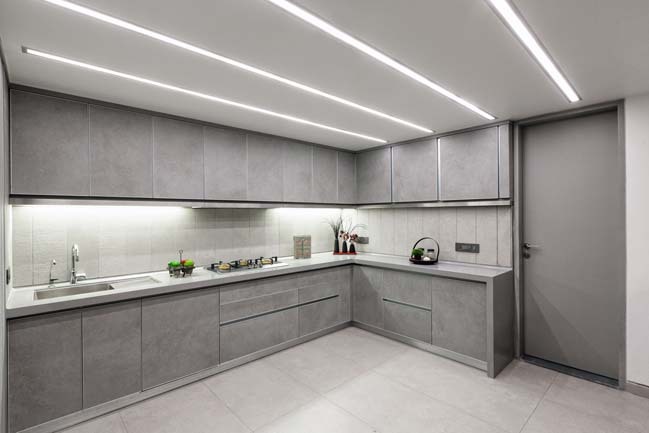 Architect's description: "The challenge lay in adapting the spaces of a standardized apartment to serve the family’s specific needs. 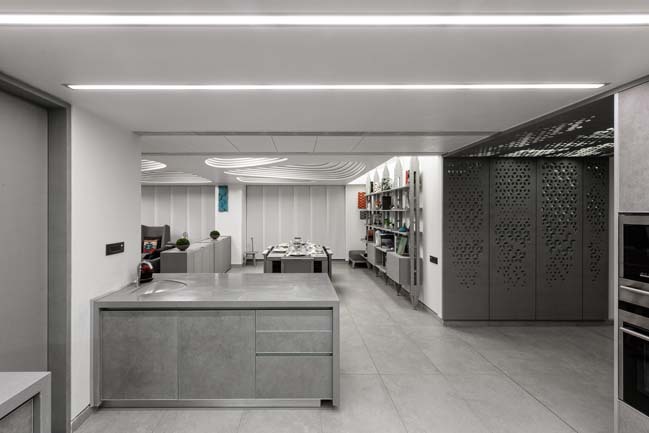 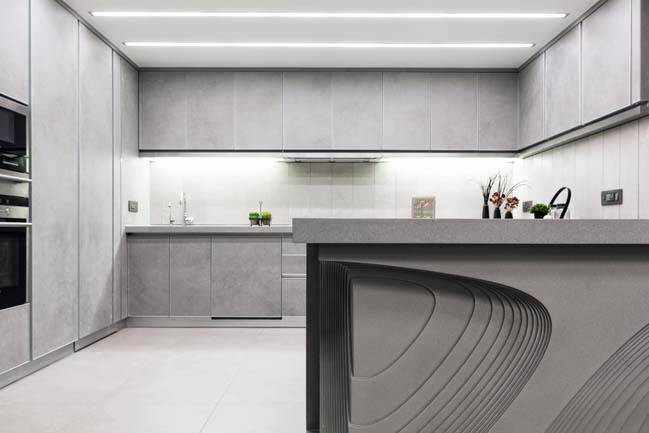 The interiors of the house designed in a palette of grey and white surfaces, serves as an ideal base for a splash of colour and the carefully selected decor. 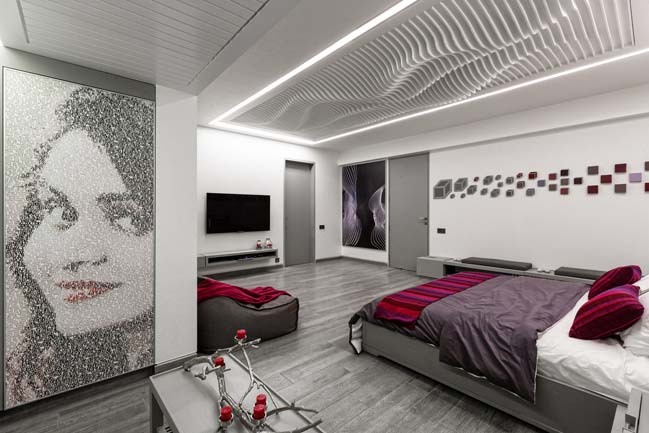 The art works that adorn the walls have been individually crafted for every space to reflect the character of the residents of the home. 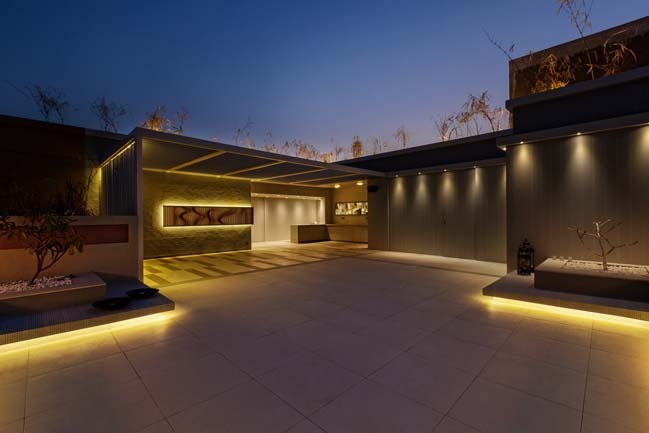 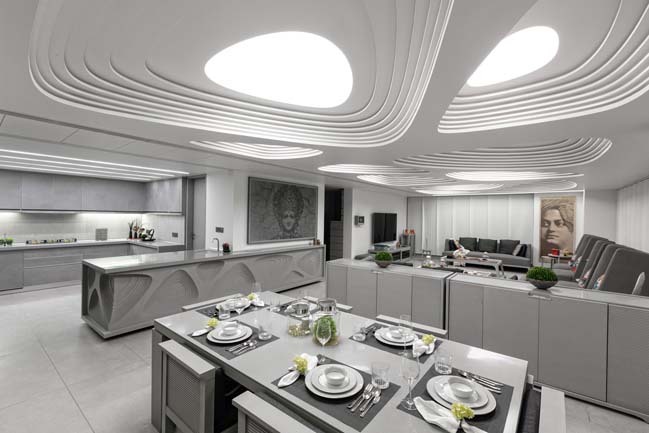 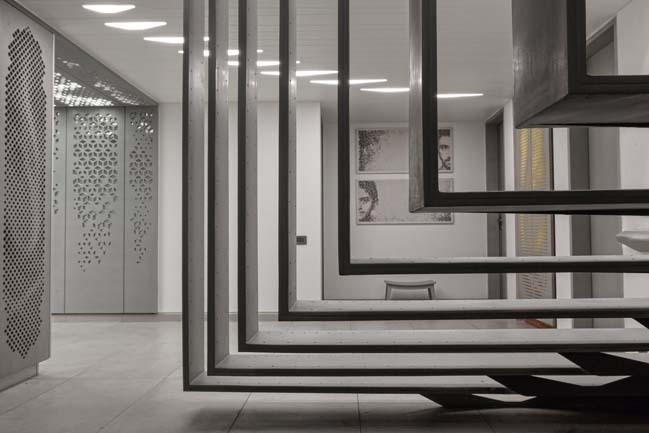 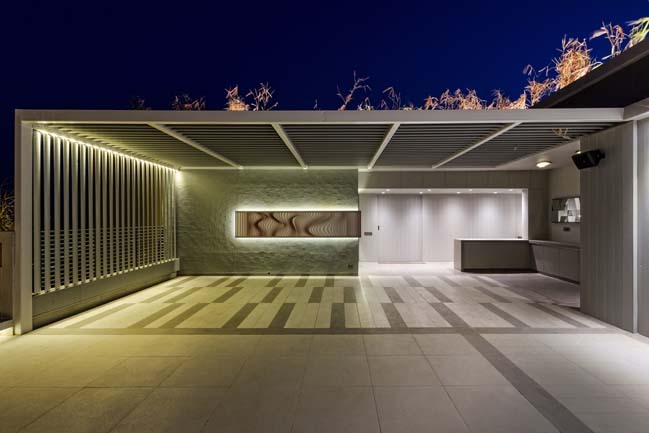 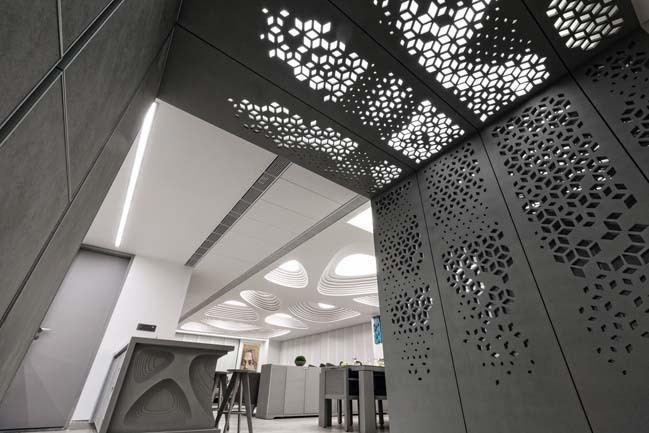 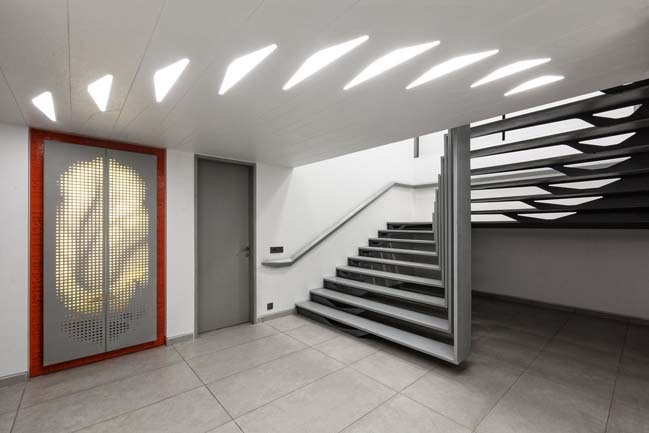 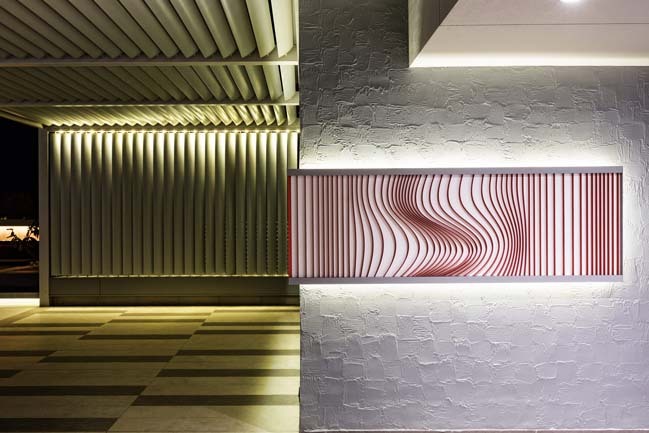 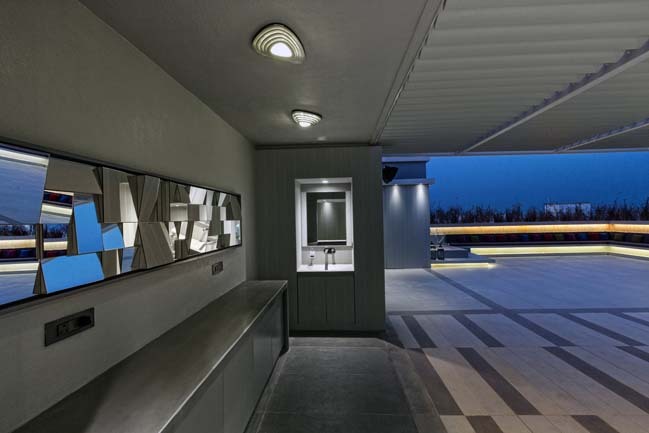 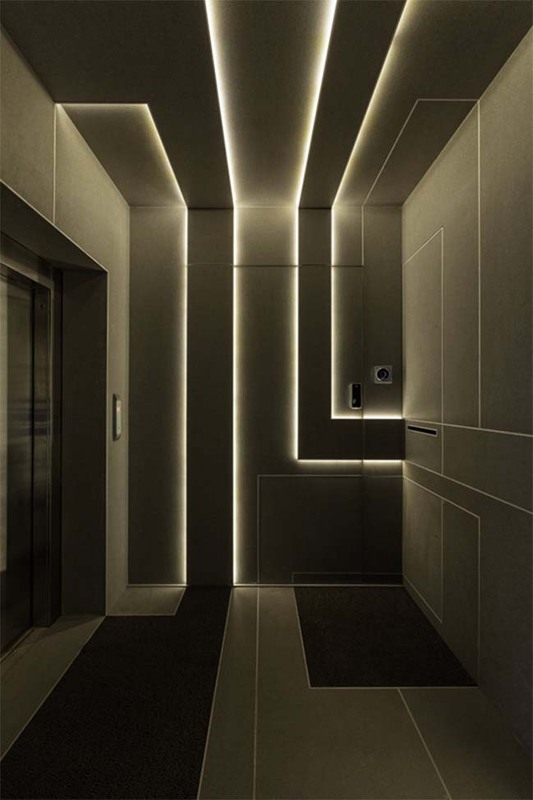 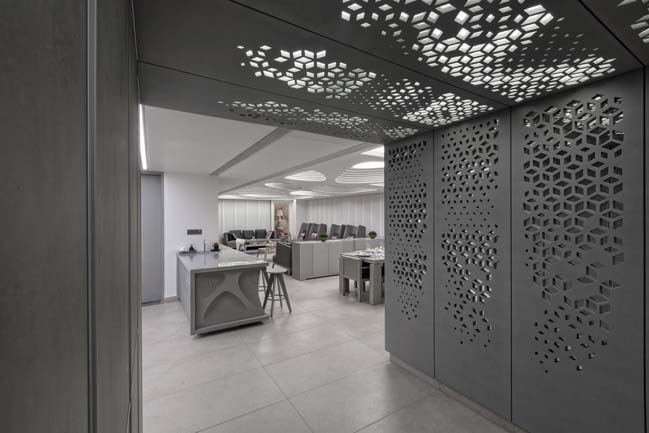 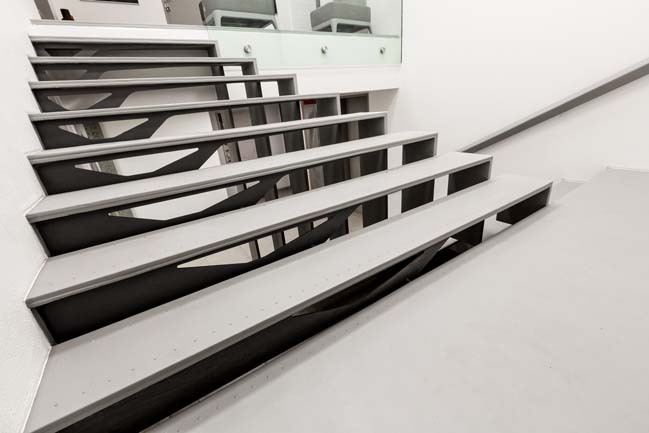 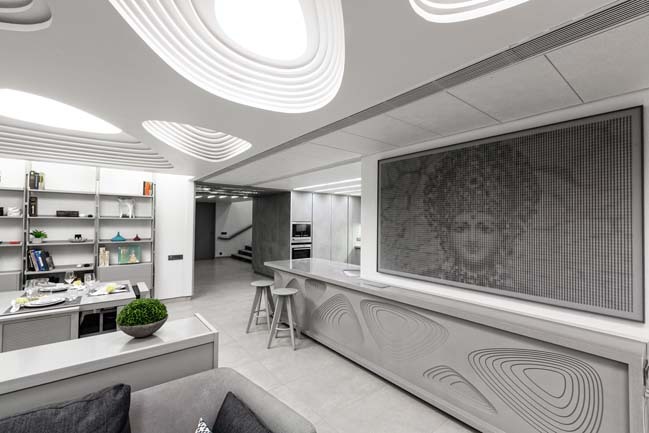 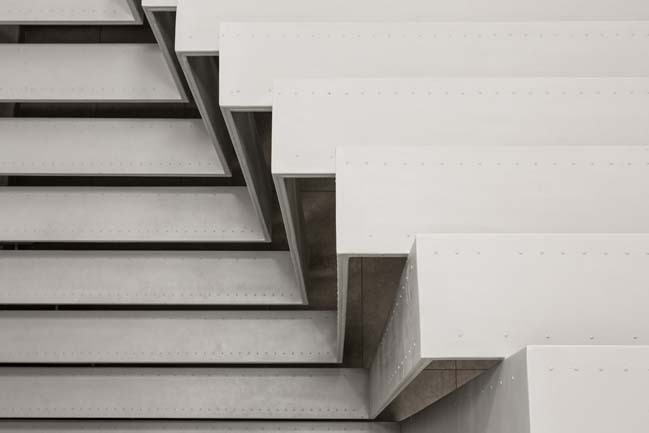 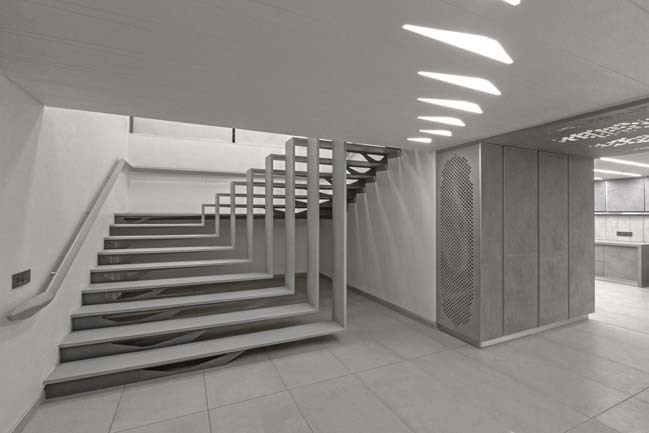 The project highlights include the patterned screens, lighting design and a sculptural staircase."